How to prune a fruit tree? Deciduous fruit trees are my favorite. In winter, when their leaves have all fallen, they look like sculptures. Then in spring, they bring a whole world of color as their branches explode with blossom, and soon after the blossom they present you with their fruits… it’s perfection. What more can we ask of nature? We nurture it, and in return it nurtures us. Fruit tree pruning is very similar to hand pruning, so you will find my guidelines on the Pruning Basics page very relevant. So, you ask, why write about fruit trees when this site deals with hand pruning? Well, it’s because the when and how of hand pruning and fruit tree pruning are practically the same. The small dry, dead branches and unwanted growth like suckers can all be hand pruned before you move onto mechanical saws. 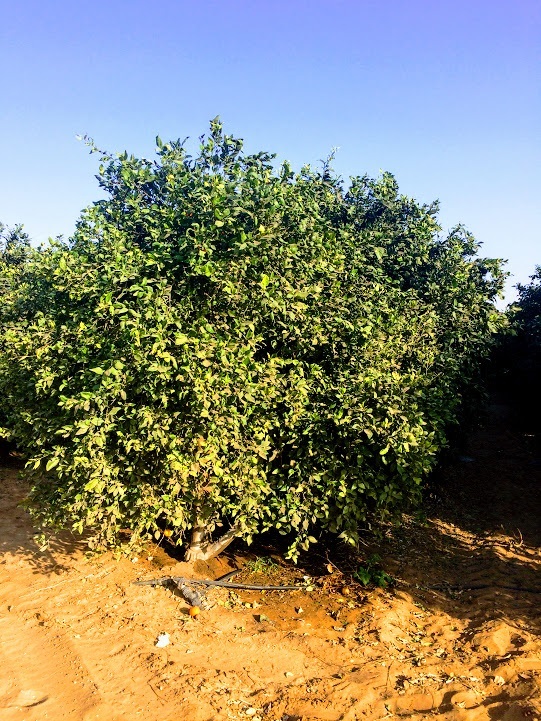 The reasons for fruit tree pruning are much the same as any other plant - maintenance, aesthetics and in this case, not only additional bloom, but also additional fruit J. The same pruning basics and the same rules and guidelines apply. Note: We will be covering various citrus fruit trees, so keep an eye out! Reasons for pruning - generally speaking, in order to keep the fruit trees in your home garden healthy, strong and fruitful in your home garden for many years, all you have to do in terms of pruning is keep the following quick and easy pruning routine. Note: There are those who will argue that fruit tree pruning is completely unnecessary and that fruit trees don’t need to be pruned at all. And although I do agree on some level, from my experience you will get better results if you do maintain some kind of pruning routine. Trimming - when you want to keep the tree low, so you can care for it and reach its fruit easily. Dilution - allows air and sunlight to penetrate through to the tree’s center, which keeps the tree healthy and encourages increased bloom. Renewal - by removing stems that are old and no longer essential or productive you'll get new growth, which produces healthy fruits. Note: When I say renewal. I don't mean hard pruning, I mean encouraging new growth on an existing fruit tree. Before you begin your fruit tree pruning, take a step back and have a look at your tree. Notice its shape. Are there any branches sticking out or blocking your way in? I always look for those branches that get in the way and prune them first. Both for aesthetic reasons, and for practical reasons (to give me access to the inside of the tree). Next, always prune from the outside and work inwards. It’s easier to make small cuts and get rid of things bit by bit, until you have a clearer view of what’s going on inside the tree, and can see what is needed to be removed. Once you can see inside you can follow long branches and decide whether to prune them close to the trunk or not. You will also be able to see if there are twigs, shoots and dead branches that need to be pruned. While pruning, don't forget to pull your head out of the tree from time to time, step back and look at your tree from a different angle. See that you’re happy with the results - after all, the general look and aesthetics of it are also very important. Remember: Despite everything I’ve written, always use your own judgment, and trial and error, because as you prune your fruit tree you are getting practice, and there is almost nothing you can do that is actually wrong (as long as you’re not cutting down the tree...). Keep the basics in mind as you go and you should be fine. 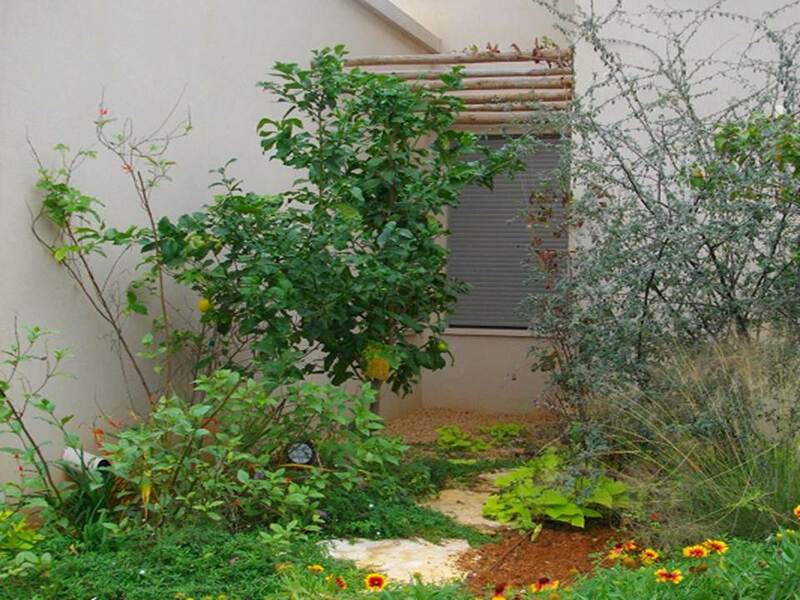 Planning your next move: The lemon tree in the picture below was planted in one of my gardens. You can see the average height at which I personally like to keep my citrus trees - as far as I’m concerned, what you see in the picture is the optimal height and width. You may have noticed that I was a little harsh on the right hand side. This is because I wanted to keep the path open and allow more sunlight into that part of the garden. Perhaps I was a little brutal, but nothing bad happened. On the contrary, I can now expect better greener, more fruity results. This is exactly what I mean when I say that "fruit tree pruning is for everyone" - you don’t have to be a pro, you already are! Trimming – I always prefer to keep my fruit trees as low as possible. It allows easy access and care and, most importantly, it makes fruit-picking easy. And after all, that is what it’s all about. It’s true that you'll have to maintain a little bit of a pruning routine, especially in younger fruit trees, but I think it’s worth it. And, of course, it’s not a must. It’s only my experience and a bit of an old habit. 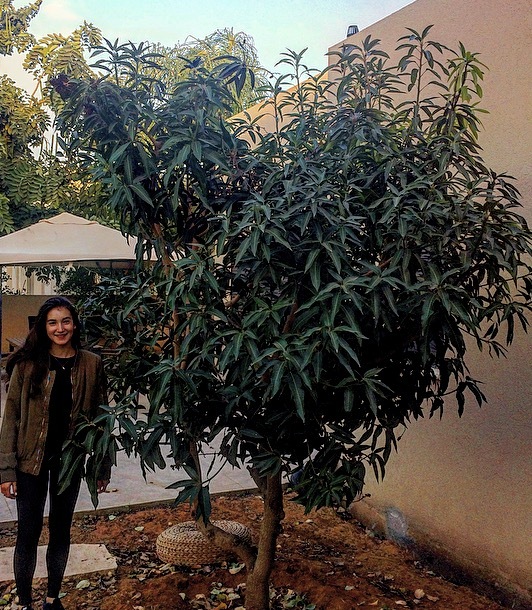 Above, my 16 year old daughter next to our Mango Maya tree. It’s a little bit high, and I am planning on pruning it at the top. Fruit Tree Pruning - When? When should you prune a fruit tree? Well, it all depends on the type of tree or its family - is it subtropical? Deciduous? Citrus? Each group has its own ideal pruning time. I promise to be get more specific and provide details for each of the groups I named, but there is one general guidelines you can keep in mind regarding the WHEN. It’s better to prune when the weather warms up, after winter has come to an end, and preferably after a few new leaves have had a chance to grown. Rule of thumb: extreme conditions are never good for pruning fruit frees - they don’t like it when it’s too hot, or too cold – they need it just right.